Transport systems in Turkey have been revolutionised since I first came to this country back in the 1990s. Last week we took a trip on the High-Speed Train (YHT) that now connects Istanbul to the capital Ankara. In fact, we only went as far as the city of Eskishehir, a two-and-a-half-hour journey – and I have to say I was less than impressed. I have a memory of riding the TGV in France years ago, hissing along almost silently at 300 km/h as power-poles and scenery flashed past the window. According to the video display, our Turkish train did hit 250 km/h on a couple of occasions, but for the most part we cruised along at more sedate speeds. To be fair, Turkey’s geography is a factor. Much of the country is high altitude steppe once you leave the coastal regions, and getting up there requires a few twists and turns. You can actually feel your ears pop as the train climbs from sea-level. Probably, if you continue to Ankara or Konya, you’ll have a better high-speed experience. Our main purpose, however, was to check out Eskishehir itself. 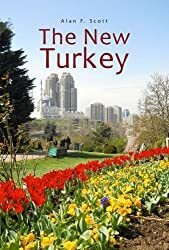 The city has become popular with Istanbul day-trippers in recent years, reputedly thanks to a go-ahead mayor and council who have worked a 21st century miracle of Europeanisation on their dusty Anatolian town. Well, in general, I’m happy to save my European experiences for when I visit Germany, or other pinnacles of post-modern development. I love Turkey for what it is – but still, I confess it is nice to enjoy a few modern comforts. The Eskishehir City Council have indeed laid out some pretty parks; and encouraged development of a buzzing bar and café scene along the banks of the Porsuk River, catering for a youthful population augmented by the presence of two large universities. Personally, however, I was more interested in scratching the surface to find what lies beneath the face presented for public consumption. One peculiarity of Eskishehir is that many of its people have Tatar ancestry. According to Wikipedia, the Crimean Tatars “are a Turkic ethnic group that formed in the Crimean Peninsula during the 13th–17th centuries, primarily from the Turkic tribes that moved to the land now known as Crimea in Eastern Europe from the Asian steppes beginning in the 10th century. . . Since 2014 Crimean Tatars were officially recognized as indigenous peoples of Ukraine . . .
Yeah, I know! But what can I do? That was probably their big mistake. After Russia defeated the Ottomans in the War of 1768-74, they began expelling Muslim Tatars from Crimea – and continued during the wars with Napoleon in 1812. Further expulsions took place during the Crimean War (1853-56) and another war with the Ottoman Empire in 1877-8. In those days the Russian government was implementing a policy of Russification and Christianisation, and the Tatars didn’t fit into either category. Soviet Russia continued the ethnic cleansing in the 1920s, culminating in 1944 when Josef Stalin’s regime exiled the entire remaining Tatar population to Central Asia. Over that period of 170 years, hundreds of thousands of Tatars sought and found sanctuary in the Ottoman Empire and later, in the Republic of Turkey. Many of their descendants live in Eskishehir today. I hinted above that the city is getting a reputation with well-heeled Istanbulites as a beacon of European enlightenment in a country many of them see as descending into an abyss of Shariah Islamic fundamentalism. Whether or not that is the case, I have no intention of discussing here. It is certainly true that the Mayor of Eskishehir is unabashedly affiliated with the opposition CHP – the Republican People’s Party that claims direct descent from Mustafa Kemal Atatürk himself. Turkey has probably one of the most complex histories of any country on Earth. Empires have come and gone over many millennia, of which the most recent are the pagan Hellenistic creation of Alexander the Great, the equally pagan Roman Empire, the Christian Byzantine Empire, and the Islamic Seljuk and Ottoman Empires. It’s hardly surprising, then, that the Muslim religion practised in Turkey differs considerably from that of its Middle Eastern neighbours in Syria, Iran, Iraq and Saudi Arabia. Much of this difference stems from the work of a fellowship of mystical Sufi philosophers who exerted considerable influence on the people from the 12th to the 14th centuries. The best known in the West is Rumi – Mevlana Jelalettin, founder of the sect sometimes referred to as “Whirling Dervishes”. Another poet, well known in Turkey, is Yunus Emre (1238-1320) whose use of the Turkish vernacular made his spiritual insights accessible to common folk. He is said to have been buried in a village not far from Eskishehir. We came across the tomb of another Sufi mystic, Sheikh Shehabeddin Shuhreverdi in the old part of town – although apparently the Sheikh’s last resting place is claimed by several other cities, and not only in Turkey. Shuhreverdi is said to have founded a sect known as Fütüvvet (I’ve no idea what that is in English), whose followers were known for their humility, courage, generosity, kindness to others, not giving importance to material possessions, tolerance and adhering to firm moral principles (can’t see much wrong with that!). The Sheikh claimed to have derived his eclectic philosophy from Zoroastrian sources and Greek philosophers such as Pythagoras, Plato and Aristotle. Perhaps not surprisingly, Shuhreverdi’s views were considered heretical by some orthodox Sunni leaders, and threats were made on his life. Apparently, he met a nasty end, executed in 1191 CE on the orders of an Islamic judge in Aleppo – so maybe his remains are somewhere in Syria. Be that as it may, Shehabeddin Shuhreverdi’s name is still remembered in Eskişehir, and his shrine is known to some in Turkish as “Salı Tekkesi”, the “Tuesday Chapel”, since local folk used to gather there formerly on Tuesdays. Why, I can’t tell you, but it is possible that some of that holy gentleman’s unorthodox opinions and independent streak have passed down to present-day Eskishehirians. Another of the city’s many claims to fame is that it is the main source of the world’s supply of sepiolite, more commonly known by its German name meerschaum, from which elaborately carved pipes were much prized by aficionados. The German word means “foam of the sea” since the stone is so light it will actually float on water. Luletaşı, in Turkish, I was surprised, and not a little shocked to learn, is also used for cat litter – one of its qualities being the capacity to absorb unpleasant aromas. Mustafa Kemal (later Atatürk) formed a national parliament in Ankara on 23 April 1920, organised an army of national resistance, and was elected commander-in-chief. The war “lasted four years and culminated in the international recognition of Turkey’s borders through the treaty of Lausanne July 24, 1923 and the founding of the Republic of Turkey on October 29, 1923”. Of less geopolitical significance, but still a high point of our self-guided tour was sipping a beer in one of the riverside cafes and seeing a “muster” of storks circling overhead. These are migratory birds that return to their nests in Turkey every spring to breed and raise their young, before flying off to warmer climes for the winter. So, spring has arrived, I’m happy to say! Albania is a very interesting nation, and, like Turkey, one that has tended to get a bad press in the media of wealthier countries. I was lucky enough to visit and be shown around by locals in 2010, and I haven’t forgotten the friendly people, the warm hospitality, the spectacular nature and the surprisingly (for me) modern lifestyle in the three cities I had a brief look at. Muslim Albanians have always tended to be more liberal and relaxed in following Islam. Generally speaking, Albanians tend to emphasize more their ethnicity; something they take more seriously than their religion. Muslims in Albania are mostly either Sunni (Hanafi) or Sufi (Bektashi). Bektashism is viewed as a different type of Islam – some say a branch of Shia Islam, some say Sufi, some say a unique brand of Albanian Sufism. Most Albanian Muslims are quite secular in their outlook. They are not fundamentalist in religion, usually being more nationalist than religious. Albanians are predominantly Muslim (60%) but with a Christian (Catholic and Orthodox) presence as well, although religion was never a dividing factor for Albanians. Bektashis seem to be more patriarchal and loyal to their Sheikhs. Even in their Tekke (meeting place) drinking alcohol is common, something which is prohibited in Islam. In short, Islam in Albania is more cultural than religious, although Albanians in Kosovo and Macedonia are slightly different. The Ottoman Empire conquered the Balkans and occupied it for half a millennium. They managed to convert most Albanians to Islam, though all the other nations in the area remained Christian. The reason for this remains unclear. What is agreed is that the conversion primarily occurred late in the period of Ottoman rule: Catholic Albanians mostly converted in the 17th century, and Orthodox Albanians mostly followed in the following century. An important characteristic of Albanians is that they are the only nation in the Balkans who managed to have a national identity transcending religion, which means that the term “Albanian” covers all Albanians of Muslim, Orthodox or Catholic faiths. This is not the case in other countries in the region, and differs from the traditional citizenship system in the Ottoman Empire. Officially in the empire there was not a system based on ethnicity as was the case in almost all of Europe. Instead, religion was the determining factor for identity (ethnic separation is forbidden by Islam) For example, the term “Turkish” was not used. All Muslims of the empire, independent of their ethnicity or native language, were classified according to their religion. The term “Turk” was not commonly used, but even if it was, it was synonymous with Muslim. The same applied for Christians. All followers of the Greek Orthodox Church, irrespective of whether they were Greek, Armenian, Bulgarian, Slavic or even Turkish, were classified officially as “Greeks”. From this tradition, the national identities of modern Balkan states developed in parallel with their religious identities. Muslim Bulgarians were not called (or accepted as) Bulgarians, but Pomaks. Muslim Slavs were not called Serbians (which only referred to Orthodox Slavs), but only Muslims (and later Bosniacs). Muslim Greeks were not called (or accepted as) Greeks, and these in massive numbers were exported to Turkey after the population exchange between the two states in the 1920s. During and after the Balkan Wars, all Muslims of the region, irrespective of their ethnic identities, were seen as targets, and most of these were killed or forced to immigrate to Turkey. Out of millions of immigrants to Turkey, a small minority spoke Turkish. The remaining Muslim populations in the Balkans are very small in number. Albania managed to transfer from a religious identity into a national identity, which no other nation in the region was able to do. Only Tito’s Yugoslavia managed to keep such an identity for some time, by calling people of the same ethnic background Yugoslavians instead of Serbian, Croatian or Bosniac, in accordance with their religions. But this ended with the fall of Yugoslavia and the tragic ethnic disasters that followed. The conversion process in Albania lasted for hundreds of years. After the death of Scanderbeg, charismatic leader of Albanian resistance, Albanian lands came totally under Ottoman rule. Probably at first, in some parts of the country, force was used to convert people to Islam. Another major reason for conversion to Islam was a way of saving their ethnicity, since they were surrounded by Slavs. Many orthodox Albanians in present-day Macedonia, Greece or Serbia lost their ethnic identity while Albanian Muslims didn’t. Nowadays there are many cases of people identifying themselves as Albanians even though they don’t speak their mother tongue. Another reason for conversion was the advantages offered to Muslims under Ottoman rule, such as: tax exemptions, and better opportunities for a military or political career. According to historic sources there were about 48 Albanian Grand Viziers during the years of the Empire. Before the arrival of the Turks, a tiny percentage of Albanians did embrace Islam through traders bringing in the religion. There are a few mosques that exist in Albanian lands that have a plaque on them declaring that they are NOT Ottoman-era mosques but rather from an era that preceded them. Furthermore, it is true the Turks singled out Albanians more than other nationalities because of their ruggedness and warrior-like culture and honour as well as the loyalty that is heavily ingrained in their culture. However, those are not the only reasons for their becoming Muslim. Many little boys kidnapped by the Ottomans were forced to become Muslim after they were stolen from their families. They were raised to become soldiers then sent back to fight their own people, or sent out to conquer other countries as well. Although the exact reason is not known for the majority becoming Muslim, we can guess at a few perhaps. The main one may have to do with being in harmony with the powers-that-be and adopting their way of life so that they might prosper with land, titles of nobility, and be accepted. By the late 18th century, the Balkans were at a crossroads. The menacing Slavs, of course, were in ascendancy, first under Austria-Hungary, and much later, under “Yugoslavia”. The Albanians were reluctant to join them, a wise decision, given late 20th century struggles between Bosnians, Serbs and Croats. The Albanians decided that their best bet was to remain with the Ottoman Empire. Having come to this conclusion as a group, it made sense for many of them to convert to Islam to reduce their taxes, and to enjoy other privileges available to practitioners of the dominant faith. Boundaries of “Ethnic” Albania. Q: What do Albanians call “Albania”? This paid off in the 1870’s when the Albanians formed the Albanian Defense League (this is a translation) against its Christian neighbours, with the initial approval of the Turks. Early in the 20th century, the Turks withdrew this approval, but by 1912, the Albanians were ready to declare independence, given the impending collapse of the Ottoman Empire. This met with the support and approval of the Great Powers, who wanted to keep the coastal country away from the expansionist but land-locked Serbia. Albanians are predominantly Muslim (85%). In Kosovo and Macedonia, Albanians practice Islam more than Muslims in Albania mainly because of the bloody history against Orthodox enemy (Serbia). They were stating their religion proudly against the enemy. In Albania, there are many Muslims that they truly don’t know anything about Islam. Some of them have an identity problem: “Why we are Muslim’’? Albanian Catholics seem to be not religious at all – but the most common thing they share with Muslims is nationalism. Muslims and Catholics are nationalist more than religious, and neither of them curses the other. Orthodox Albanians are different story. They are quietly religious, not nationalist at all. Since they share the same religion with enemy neighbours, sometimes there are prejudices against them. Mostly the attitude of the Autochephalic Church of Albania against Serbs and Greeks makes them out of nationalism. So, in the whole Albanian community, Orthodox Albanians seem to be little pressured and are sometimes called Greeks. Albania was strictly atheist under the Stalinist regime that was in place during the second half of the 20th century. When communism collapsed, overseas Islamic charities came, largely from the Arab peninsula and north-eastern Africa, to assist the Muslim community. These foreign Islamic groups were the main financial backers for the resurgent MCA, the official organisation that runs Islamic affairs in the country. Albania’s Islamic community had been starved of funds and was poorly organised, as public worship had been outlawed under communism. Şeb-I Arus translates literally as “Wedding Night”, but in fact was the date that the renowned Sufi mystic, Celaleddin Mevlana Rumi, passed away. In keeping with his transcendental philosophy, Mevlana Rumi saw his death as the merging of his spirit with the Divinity, hence a “wedding”, and not an event to be mourned. “He is the most-read poet in the United States and possibly the best-known Islamic figure after Muhammad. His philosophy of divine love has inspired countless artists, musicians, and writers. He created the iconic symbol of Turkey, the sema ritual often known as the “whirling dervishes.” The man referred to is of course Rumi, whose full name was Mevlânâ Celâleddîn-î Rûmî. His death 742 years ago is commemorated every year on December 17.
Who is Mevlana? Hz. Mevlana Celaleddin-i Rumi is the great Anatolian mystic, poet and the father of the Mevlevi Order. He is known as Hz. Mevlana in the East and as Rumi in the West. At birth, his family named him Muhammed, though he came to be nicknamed Celaleddin. As for “Mevlana”, it connotes to “our master”, while “Rumi” relates to “the land of Rum” or “Anatolia”, where he lived. In his lifetime, he was also referred to as “Hudavendigar”, meaning “distinguished leader”, whereas his present internationally renowned title “Mevlana” was very seldom used. Hz. Mevlana was born on 30 September 1207 in the city of Balkh, Horasan, which at the time was inhabited by Turkish tribes; (Balkh, today, remains within the boundaries of Afghanistan). His mother Mümine was the daughter of Rükneddin, the “emir” (sovereign ruler) of Balkh and his father, Bahaeddin Veled, was “Sultanu-l ulema”(chief scholar). Their clash of opinion with Fahreddin-i Razi, one of his contemporary mystics, along with the probability of a Mongol invasion urged him to desert his hometown accompanied by his entire family. Their migration, via Baghdad, Mecca, Medina, Damascus, Malatya, Erzincan, and Karaman, ended up, on 3 May 1228, in Konya upon the invitation of Alaeddin Keykubad, the Seljuk Emperor. As Mevlana began attending his father’s lessons at a very early age, he pursued the divine truth and secrets. He acquired Turkish, Arabic, Persian, and common Greek as well as Classical Greek. He studied the other religions along with Islam. From history to medicine, he received his initial education from his father and then from Seyyid Burhaneddin Tirmizi and other top scholars of the time. Later on, he himself, in turn, taught hundreds of students in Madrassahs (theological universities). “From the 10th of December to the 17th, thousands of people will descend on the Turkish city of Konya. Hotel accommodation will be fully booked up and any latecomers that do find spare rooms will have to pay heavily to secure them. Konya is bracing itself for one of the most important events of the year and that is the annual celebration of Rumi and the whirling dervishes’ festival. For many, this is a journey to commemorate the death of a poet and his works that continue to penetrate everyday society. Rumi was born on the edge of the Persian Empire, in the city of Balkh which is now part of Afghanistan. In 1273, he died in the Turkish city of Konya. Despite his departure from this earth over 700 years ago, his poems and quotes are still widely read today by millions of people all over the globe. The work of Rumi is extensive and often called words of wisdom by modern day artists and authors. His words spoke about every aspect of life but mainly focused on love and inner peace. What is his significance to the west? Despite his origins in the east, Rumi is widely known in western countries. He was the bestselling poet in America for a number of years and his poems have been globally translated into many languages. As a practicing Sufi, his beliefs lay in a branch of Islam yet his followers include Christians and Jews along with Muslims. He did what many others have tried to do and failed miserably at. He connected people of different religions and it all began with his words. Read any poem or quote, and there is no bias against cultures. There is no preference of one race against another. Muslims are not favored over Christians or Jews. The storks are back. I saw a muster of them a week or so ago. Or it could have been a phalanx. According to Wikipedia, the terms are interchangeable. Whatever, there were hundreds of them circling in the sky over the financial district of Levent as I headed home from work. In fact the birds don’t nest in Istanbul, but they gather here twice a year as they depart for, or return from their annual migration to warmer climes for the winter. So another spring is with us in Turkey. The swallows flew in a week before the storks, Persephone is on leave from Hades, and at least two ‘cemre’ (djemreh) have fallen. What’s a ‘cemre’, you may ask. Well, despite its being a Turkish word, I have yet to find anyone who can actually give a definition. Nevertheless, three of them are said to fall in the spring time, warming the air, the water and the earth – and then it’s summer. In recent years the Istanbul Metropolitan Council has sponsored a tulip festival, and this year they’ve planted 8.5 million bulbs in parks around the city. This man-made riot of colour supplements the display of the ubiquitous erguvan (Judas tree) that splashes both banks of the Bosporus with dense bunches of purple blossom. You’ve got a brief two-week window of opportunity, so if you’re in town, you need to get out and feast your eyes. This year our choice settled on Yıldız Park. Yıldız is an interesting and picturesque area located on the slopes above the coastal districts of Beşiktaş and Ortaköy on the European side of Istanbul. Despite hysterical claims three years ago that the government was destroying the city’s last green areas, Yıldız Park is just one of its many beautiful natural reserves. These 29 hectares (73 acres) of semi-wilderness and ordered gardens are what remain of a forest formerly used for hunting by Byzantine and Ottoman aristocrats. Probably what saved this remnant for posterity was being chosen as a safe haven by one of the last Ottoman Sultans. Abdülhamit II was the 34th Padishah, and one of its longest-reigning, ascending the throne in 1876 with the empire facing external threats on all its borders, as well internal rebellions, and managing to survive until deposed in 1909. In spite of, or possibly because of, holding a beleaguered fort for 33 years as the Ottoman Empire crumbled around him, Abdülhamit is regarded in the West as some kind of devil incarnate – and his time on the throne, even in Turkey, as a period to be quietly avoided. Nevertheless, I have to tell you, I’ve got some sympathy for the man. A little like George VI of England, Abdülhamit ascended the throne somewhat unexpectedly. However, George’s rise to monarchic splendour came as a result of his older brother’s infra dig marriage to an American divorcee. Abdülhamit’s elder sibling was forcibly removed from office after a brief 93 days on the throne. This was the second such event in a matter of months, the royal princes’ uncle, Abdülaziz, having been deposed by his ministers earlier in the year. Uncle Aziz was found dead five days later – whether by his own hand or that of another, history does not tell us. So it was an inauspicious beginning for the 34 year-old Abdülhamit, and the fact that he retained his throne for 33 years is testament at least to his commitment and determination. Things were not going well for the Ottoman Empire, and had not been for some time. The Great Powers of Europe, in particular, Britain, France, the Austro-Hungarian Habsburg Empire (where are they now? ), and Russia, were keen to see it disappear, and to pick up the pieces for themselves. After 1870, two Johnnie-come-latelies, Italy and Germany, appeared on the scene, with similar intentions. All that really stood between the Ottomans and final dissolution was the self-seeking determination of each of those European powers to see that they got the best bits and the others didn’t. So the Ottomans survived Russia’s expansionist plans in the 1850s because Britain and France decided it was in their interests to help out. They were fast losing interest, however. Russia’s pretext for starting the Crimean War, its ‘altruistic’ desire to champion the Ottoman’s oppressed Christian minorities, was recognised as a clever ploy, and that was the beginning of the end. The Ottoman Empire had for centuries been an obstacle to European incursions into Asia, and to Russian desire for access to the Mediterranean Sea. When the Suez Canal was opened under French control in 1869, that region suddenly assumed even greater importance for European trade. John D. Rockefeller founded his Standard Oil Company a year later, and ‘black gold’ slowly began to assume crucial significance. Put two and two together, and you can see why the downfall of the declining Ottoman Empire was pretty much signed and sealed. – and why its 34th Sultan was on a hiding to nothing when he got the big job. Interestingly, despite his reputation in some circles for despotism and bloody massacres of innocent minorities, there had been expectations that Abdülhamit would continue the modernisation and democratisation processes set in motion by his father Abdülmecit (ruled 1839-61). Circumstances were against him, however. In 1860 Christian-minority Maronites rose up in Lebanon and established a peasant republic. Pretty advanced stuff for Middle Eastern peasants in those days! Britain and France threatened to intervene on their behalf, and the Ottomans were obliged to accept a Christian governor in Lebanon. In 1860 there was a rebellion on the island of Crete in support of enosis – union with the recently established ‘independent’ kingdom of Greece. ‘Christian’ Greeks claimed that Muslims had massacred Greeks, in spite of which, the latter managed to seize control of the island with the assistance of thousands of Greek troops from the mainland. The Russian invasion of the Caucasus saw Crimean and Circassian Muslims massacred and displaced, and hundreds of thousands of them sought sanctuary in Ottoman Anatolia after the Russians final victory in 1864. The ‘Balkan Crisis’ began in 1875 as the Habsburgs and Russia attempted to annex Ottoman territory. Public opinion in Europe was aroused by reports that the Ottoman administration was using bashi-bazouk troops to commit atrocities against the innocent local Christians. In fact there were atrocities committed by both sides, of course. The bashi-bazouks admittedly had a long-standing grudge since most of them were recently settled Crimeans and Circassians who had seen first-hand what Christians did to Muslims. In June 1876, Serbia and Montenegro declared war on the Ottoman Empire with the tacit support of Austria-Hungary and Russia. The European Powers held a conference in Istanbul/Constantinople to sort the issue out, but neglected to invite the Ottomans. Meanwhile, in 1877, the Russians opened a new front threatening the Ottomans in the Caucasus. Their forces, led by Armenian commanders, captured several Ottoman towns in the east, and laid siege to others. What happened to the Muslims out there is generally overlooked in Western historical accounts – but it may well have contributed to later events when the Ottomans regained control. Back in the west, Russian forces were at the gates of the Ottoman capital, whatever you like to call it (Constantinople? Istanbul? ), and it was only the threat of intervention by the British Royal Navy that brought about a truce. And while everyone was looking the other way, the Brits grabbed the island of Cyprus. The cost of all this to the Ottoman administration was disastrous: great losses of territory, not to mention prestige; a huge influx of impoverished refugees from the new ‘Christianised’ countries; enormous expenses leading to crippling debt; and a reputation in the West for savagery and barbarity Turks are still struggling to live down. So poor Sultan Abdülhamit was up against it right from the start. Other supposedly enlightened nations have resorted to a state of emergency and suspension of freedoms with less reason – and yes, our man did suspend the recently introduced constitution. Well, I guess there are times when democracy just doesn’t seem to be doing the trick. And it was obvious that even his own ‘loyal’ governing classes were all-too-ready-and-willing to depose their monarch in times of trouble. But what about Yıldiz Park, and Istanbul in the springtime? What happened to that story? Well, the new sultan clearly felt that his father’s palace, Dolmabahçe, designed by his Armenian architects, and beautifully located on a spectacular Bosporus-shore location, was a little vulnerable. Consequently he took the decision to built a new home for himself a little further from the sea higher up in the forest. Possibly by this time, Armenians were shifting their loyalties, and responsibility for the royal building programme had been handed over to an Italian, Raimondo D’Aronco. The palace complex comprised a number of buildings including accommodation for visiting dignitaries, a theatre and opera house, and a porcelain factory. Most of these buildings are now open to the public, apart from one retained by the government for receptions and office space. The Chalet Pavilion, where the sultan lived with his family, is now a museum, as is the carpentry workshop. Among Abdülhamit’s many hobbies and interests, he was a skilled carpenter/cabinet-maker and much of the furniture in the palace was made with his own hands. The porcelain factory still produces exclusive pieces for the high-end market – though more European than Ottoman in design, and they don’t appeal to me much. In spite of his evident interest in Western technology and culture, Abdülhamit began to turn increasingly towards the practice of Islam, and his role as Caliph, leader of the world’s Muslims. This is hardly surprising, given that Christian subjects of the empire, despite having been allowed to build their schools and churches, practice their religion, speak their languages, educate their children, hold important positions in the empire, make pot-loads of money, and generally mind their own business for centuries, were beginning to seek support from foreign imperialists. Interestingly Abdülhamit, in his capacity of Caliph, is said to have supported the United States’ conquest of the Philippines by requesting that Muslims there accept and support US sovereignty – which they duly did, and scant thanks the Ottoman Sultan got in return. It just goes to show, huh? Anyway, the Sultan, as one might expect of an educated man, was interested in the mystical aspects of religion, and in fact was a follower of one of the Sufi dervish sects. The Ertuğrul Tekke Mosque, on the right as you walk up the hill from Beşiktaş, was dedicated to the Shadhili (Şazeli) Sufi order, and the Sultan’s personal spiritual guide, Sheikh Hamza Zafir, is buried in the grounds. The mosque itself is named for Ertuğrul Gazi, father of Osman I, founder of the Ottoman Empire. Further reflecting Abdülhamit’s focus on his Ottoman roots, another mosque in the grounds of the Central Military HQ further up the hill, bears the name of Orhan, son of Osman, and the Empire’s second sultan. A third mosque, grandest of the three, and worth a visit, except that it is currently undergoing extensive restoration, is the imperial Yıldız Hamidiye, completed in 1886 in a combination of Neo-Gothic and traditional Ottoman architecture. The long, narrow Serencebey Park that now isolates these historic buildings from the frenetic traffic of Barbaros Boulevard used to be a public square, and was the site of an assassination attempt on the Sultan in 1905 by Armenians seeking revenge for the much publicised ‘Hamidian Massacres’ – which perhaps need to be seen in the context of our earlier historical discussion. I suggest a walk starting from the ferry buildings in Beşiktaş, up the hill through the Serencebey Park where, apart from the mosques, you will pass the statue of Yahya Kemal Beyatlı, revolutionary poet, politician and diplomat, who spent some years in voluntary exile in Paris because of his opposition to Abdülhamit. Clearly there is ambivalence in Turkey about their Ottoman heritage. After passing the campus of Yıdız Technical University, take a right at the traffic lights and cross over the motorway leading to the Bosporus Bridge. You’ll catch some intriguing glimpses of the bridge and the strait before arriving at the gate of Yıldız Park. Enjoy the peace, the trees, the flowers and the wildlife. Visit the porcelain factory shop. Stop for a coffee, a snack or a meal at one of the several cafes and restaurants. Pay a visit to the Chalet Museum. Emerge at sea level beside another stylish little mosque of the period, Küçük Mecidiye, opposite the gates of Çırağan Palace, now a five-star Kempinski hotel. Stroll back to Beşiktaş to complete your circuit. It’ll be a day well spent. As an aside, Sheikh Shadili, founder of the sect, is reputed to have discovered coffee drinking in the Arabian town of Mocha, way back in the 13th century, whence the practice journeyed slowly westwards, eventually reaching America – another thing they don’t seem very grateful for. I had to work last Friday afternoon. I wasn’t 100 per cent happy, but I was doing a favour for a young colleague who wanted to swap her afternoon classes for mine in the morning. The reason? She was heading to Konya for the weekend. I’ve had occasion to write about Konya before. First and foremost, number plates on the cars of its citizens are prefixed with its administrative number, 42. The mystical significance of that number is strengthened by the city’s history as the home and last resting place of Jalal al-Din Muhammad Rumi, the 13th century Sufi philosopher also known as Mevlana or simply Rumi. Rumi was born in 1207 CE in Khorasan, in present day Afghanistan, but his family moved to Anatolia in 1228 on the invitation of the Seljuk Emperor, Alaeddin Keykübad – the one mentioned in Edward Fitzgerald’s translation of Omar Khayyam’s ‘Rubaiyat’. Undoubtedly the Seljuks recorded dates using the Islamic lunar calendar, but it has been determined that Rumi passed away on 17 December 1273. Accordingly, a two-week festival is held every year in Konya to mark the event, known as Şeb-i Arus in Turkey. The phrase Şeb-i Arus is an interesting mix of Persian and Arabic words meaning ‘Wedding Night’. These two languages bear a similar relationship to modern Turkish as Latin and ancient Greek do to modern English: they were the languages of religion, science, medicine, literature and the arts, and scholarship in general. The founders of the Republic of Turkey, aiming to make a clean break with their Ottoman past, attempted to ‘return’ to a pure Turkish, employing a Latin alphabet. The latter reform was successful (though not everyone was happy) but the former was doomed to failure from the start. But why ‘Wedding Night’ you may ask. The reason is that, according to the Sufi philosophy, the true life of the spirit begins after the death of the physical body – so that material ‘death’ is in fact a transition to a higher plane of existence whereby the human soul is ‘wedded’ to the ultimate reality. Grieve not! The thorn in your foot brings news of the rose you were seeking. Well, not all of us are able to dismiss so lightly the apparent reality of life on Earth. Veil of illusion it may be, but the world of friends, family, study, work, marriage, children, food and shelter, sickness and health, demands our attention – and we ignore its demands at our peril. So what’s a person to do? Orthodox Sunni Muslims represent the majority in Turkey, and Sufism is a largely Anatolian phenomenon. Its followers regard it as the purest form of Islam, but most of its sects were outlawed after the foundation of the Republic because they were perceived as politically reactionary. The Mevlevi followers of Rumi, however, were permitted to continue as a kind of living cultural treasure because of their emphasis on the spiritual importance of music, poetry and dance. Interestingly, these are also features of Alevi worship – whose adherents represent a substantial twenty per cent minority in modern Turkey. Alevism is a heterodox belief system which seems to defy simple definition. Like the Alawites across the border in Syria and elsewhere, they trace their origins back to the disputed question of who would succeed the Prophet Muhammed on his death. 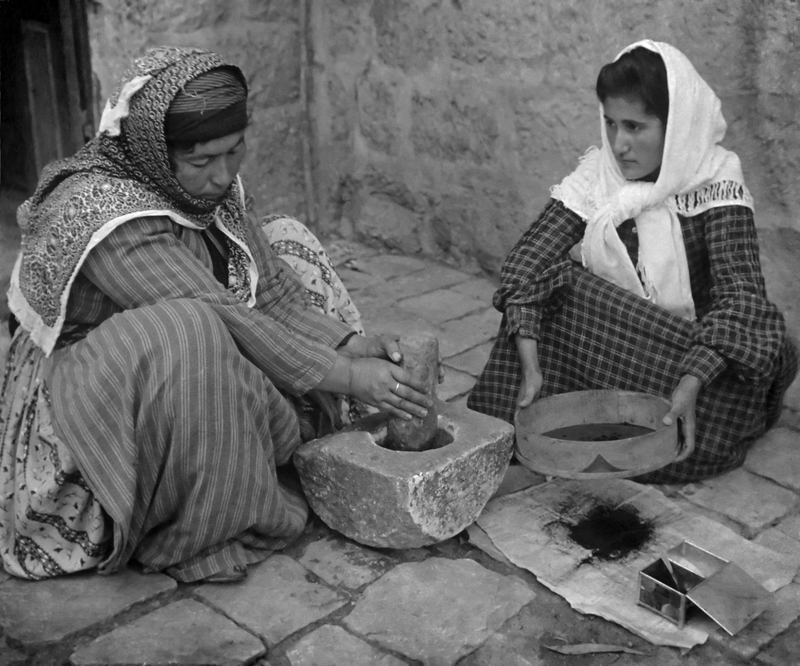 They differ from the Alawites, however, in that some of their practices and traditions seem to stem from older Turkish folk beliefs. In this they appear to have something in common with Sufism, though there is no officially recognised connection. The most obvious identifying feature of Mevlevi worship is Sema – the characteristic ‘whirling’ of devotees accompanied by a chorus of chanting, and the eerie, breathy music of the ney. The dancers wear tall brown felt headgear and white robes that swirl outwards as they spin with one hand turned down to the earth, and the other upwards towards the heavens. The dance represents a mystical journey of the spirit towards truth and perfection, leaving the ego behind. The dancer returns from this spiritual journey ‘as one who has reached maturity and greater perfection, so as to love and to be of service to the whole of creation.’ You might think the world could do with more of that! The ney is reputed to be one of the world’s oldest musical instruments. It is a kind of flute with a recorded history of nearly 5,000 years. It is identified symbolically with the life force, the spirit breathed into earthly creatures by their source and creator (click to hear the sound). For two weeks every year, a festival is held in Konya, location of a striking green-tiled tomb housing Mevlana Rumi’s mortal remains. Thousands of visitors, from all over Turkey and further afield, congregate for festivities culminating in the ‘Wedding Night’ on 17 December. This coming Thursday will mark the 742nd anniversary of his death – and Rumi’s words still serve as inspiration for people of all faiths. ∞ “You were born with potential. You were born with goodness and trust. You were born with ideals and dreams. You were born with greatness. ∞ “I searched for God among the Christians and on the Cross and therein I found Him not. I went into the ancient temples of idolatry; no trace of Him was there. I entered the mountain cave of Hira and then went as far as Qandhar but God I found not. With set purpose I fared to the summit of Mount Caucasus and found there only ‘anqa’s habitation. Then I directed my search to the Kaaba, the resort of old and young; God was not there even. Turning to philosophy I inquired about him from ibn Sina but found Him not within his range. I fared then to the scene of the Prophet’s experience of a great divine manifestation only a “two bow-lengths’ distance from him” but God was not there even in that exalted court. Once upon a time, in the city of al-Mukha, there lived a Sufi mystic, Abu al-Hasan al-Shadili. He used to travel around the region and was much respected for his wise teachings and his ability to heal the sick. One day, while in Ethiopia, he saw a flock of birds whose unusual activity and excited behaviour attracted his attention. He noticed that the birds were feeding on the berries of a certain plant, and he decided to try the berries himself. On tasting them, however, he found them to be unpleasantly bitter. He tried roasting them, but they became too hard to eat. Finally he boiled them to soften them, and the result was a fragrant brown liquid which he drank. Within a short time he found himself revitalised and full of energy. Subsequently he returned to his hometown and began using his new miracle drug in the treatment of patients. The success of his cures established his reputation, and he was made a saint. 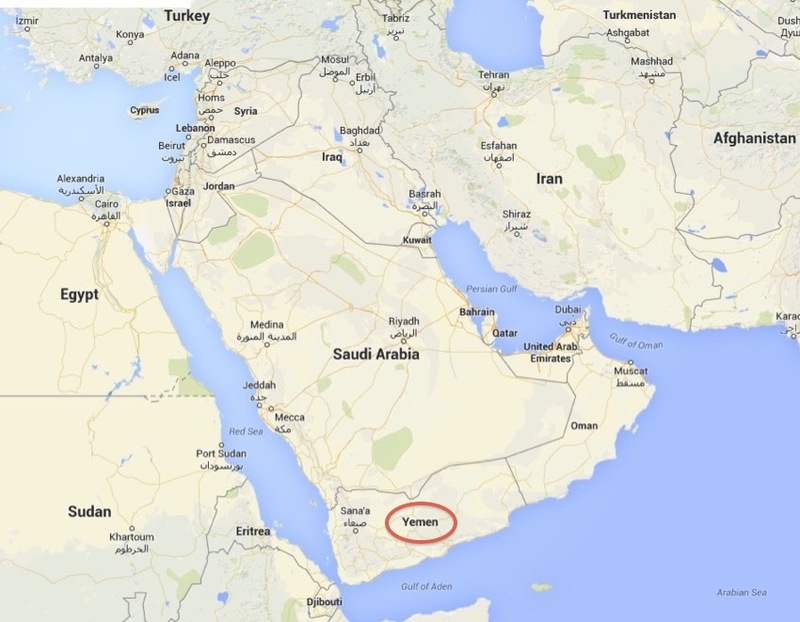 Abu al-Hasan’s hometown is better known to most of us as Mocha, in what is now Yemen. We may not be able to precisely locate the city on a map, but we are almost certainly aware of it as an item on Starbucks’ menu of available beverages – and the wise Sufi’s medicinal berries were, of course, the fruit of the coffee plant. Coffee aside, Yemen’s main appeal to the rest of the world has been its strategic location at the mouth of the Red Sea. The Ottoman Empire added it to their dominions in 1538, largely for its importance in guarding sea access to the holy cities of Mecca and Medina (against the Portuguese) – though a side benefit was their discovery of the joys of coffee-drinking. A century or so later ‘java’ culture passed into Western Europe when the first coffee house was opened in Vienna. There is, I understand, no truth to the legend that Sultan Mehmet IV’s unsuccessful siege of that city in 1683 was motivated by a desire to punish the Viennese for infringement of patent. The rising red tide of British imperialism washed ashore on the coast of Yemen in 1838 when the Brits bombarded and seized the port of Aden – subsequently signing treaties of ‘friendship and protection’ with the local Arab tribes. The port became a vital refuelling station for steamships on their way to India, the Jewel in Queen Victoria’s crown, and South Yemen remained a British Protectorate until 1967. North and South Yemen united in 1990 to form a single independent state, whose independence, however, has been fraught with difficulties, and the county has struggled to free itself from outside interference. President for the first 22 years of its existence was Ali Abdullah Saleh, under whose guiding hand Yemen attained the status of a kleptocracy, and a ranking of 164th out of 182 countries on Transparency International’s Corruption Perception Index. In spite of this, his misguided support of Saddam Hussein’s invasion of Kuwait in 1990 and the bombing of the USS Cole in Aden Harbour in 2000, the neighbouring Saudi royal family have been transferring large payments into the pockets of tribal leaders and certain members of the regime, and the US Government has been providing annual military aid to Saleh, amounting to $140 million as recently as 2010. 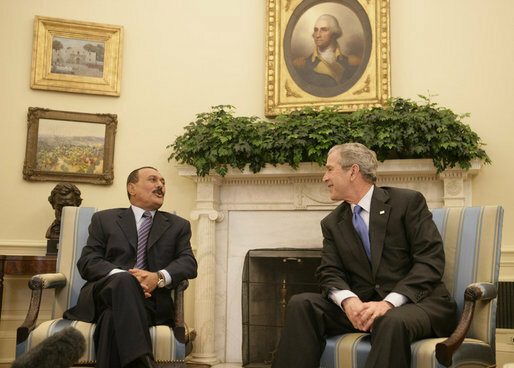 Despite the existence in Yemen of a major Al Qaeda franchise (AQAP) Saleh apparently managed to convince George Dubya Bush that he was an ally in the ‘war against terror’. Who can know what’s really going on? The Saudis and the US were angry with Saleh for opposing the use of force against Iraq back in 1991 – yet his friendship with Saddam Hussein had made him popular with Washington in the days when Saddam was the enemy of their enemy Iran. Both countries were conspicuous by their non-involvement in Yemen’s Arab Spring protests in 2011 in spite of the brutality with which the demonstrations were suppressed. More recently they began to support internal demands for Saleh’s resignation – but his replacement was his own vice-president, and Saleh was to be granted immunity from prosecution. Now it seems we have a new militant Islamic group in the region – Houthi rebels who are apparently of Shi’ite persuasion with close links to Iran. This, I guess will be another headache for the US Government as it attempts to build bridges with its former implacable foe. As Houthi forces have captured the Yemeni capital Sanaa, the US state Department has closed its embassy there and instructed US citizens to leave the country. This apparently means more than the loss of employment for a few diplomatic staff. It seems that the Sanaa Embassy was the headquarters of CIA operatives coordinating a campaign of drone-strike killings in the area. According to a news report in Time Magazine, ‘There were 23 U.S. drone strikes reported in Yemen last year, 26 in 2013 and 41 in 2012.’ In 2009 US warplanes targeting Al Qaeda training camps wiped out an entire village with a salvo of cruise missiles, killing as many as 60 civilians, among them 28 children. That Time article quoted President Obama, in a breath-taking sound-byte of political understatement, saying, ‘Yemen has never been a perfect democracy or an island of stability.’ Apart from the brutal suppression of internal dissent, the country ranks among the world’s poorest, with 45% of the population living in poverty. So perhaps we should not be altogether surprised that some militants, Muslim or otherwise, might be tempted to seek a solution of their own. The country’s neighbours, however, immediately went crying to the United Nations, insisting that the international community should take forceful action. Those neighbours expressed their call to arms via the GCC (Gulf Cooperation Council) which consists of such shining lights of democratic freedom and champions of human rights as Bahrain, Qatar, Saudi Arabia and the United Arab Emirates. 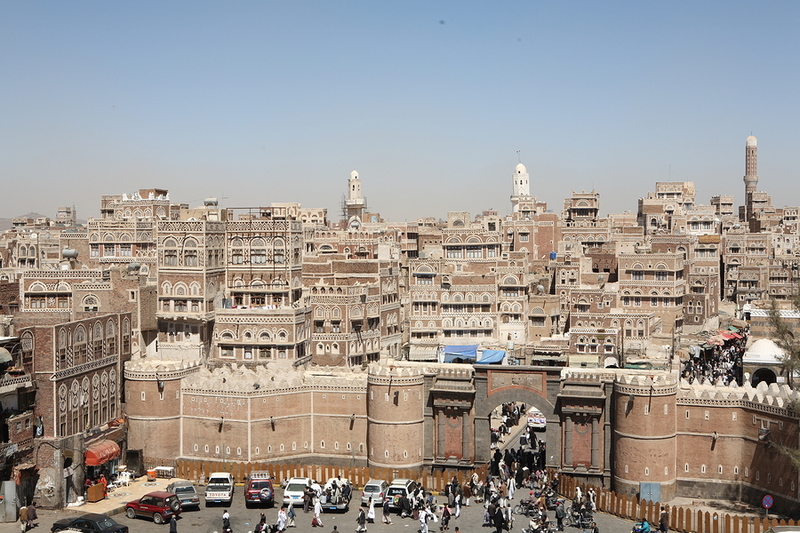 Their goals for Yemen, they say, are ‘preserving legitimacy’ and ‘resuming the political process’ – and if the UN doesn’t do the right thing, they may take matters into their own hands. Not merely ‘commitment’, you notice, but ‘dedication to commitment’! 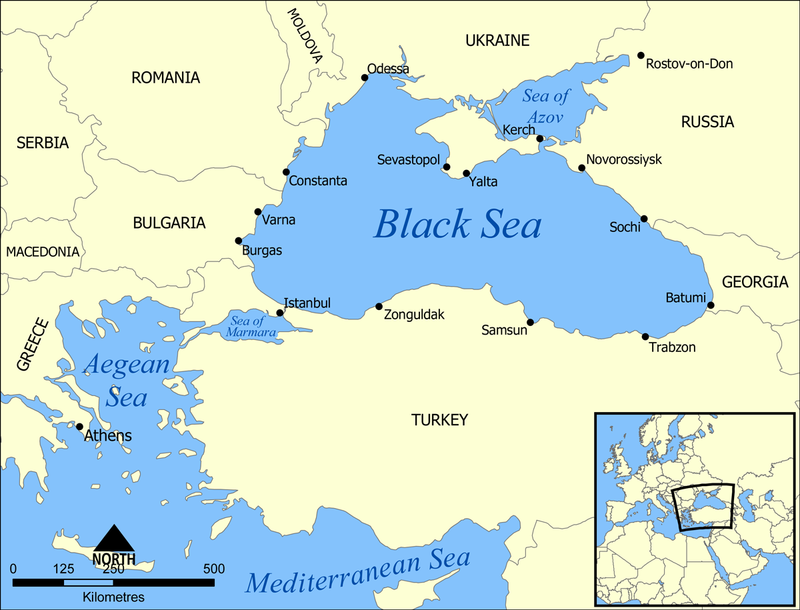 Incidentally, those ‘regional Black Sea partners’, apart from Ukraine, are Bulgaria, Romania, Turkey and Georgia – all of them located some distance from the Atlantic Ocean. I suspect it is exactly that kind of aggressive American foray into Russia’s backyard that has prompted President Vladimir Putin to start drawing lines in the sand. Don’t we need a little of that in the world these days! 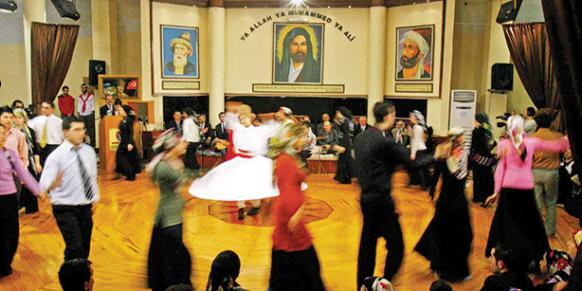 I’d like to share this article with you about the Alevi sect in Turkey. I did write a post on the subject some time ago, but this writer has done more personal research, and the accompanying photographs are very evocative. The views expressed in the article do not necessarily represent my own, but the subject is one that needs a wider readership in Turkey and beyond. In many ways, it resembles a traditional mosque. The worshippers slip off their shoes and tread slowly over rows of intricate, hand-woven rugs. Everyone is dressed demurely and the women tie scarves over their hair. Before the prayers begin, they sit cross-legged on the floor. Above them is a domed ceiling, in the center of which dangles a large chandelier. But look closer and there are some key differences. The dome has 12 edges, Under each is a portrait of a different turbaned man. All of them have thick beards and piercing eyes, their faces shadowed by a saintly penumbra. These are the 12 imams revered by Shiites—Imam Ali, his son, Imam Husayn, and the 10 who came after them. All but the last of them were killed.